Violet is starting to teethe (dribble-tastic funtimes!) and we've been on the lookout for some teething toys to relieve and distract those sore swollen gums. Yes you know the toys - those horrible bits of colourful garish plastic keyrings and rattles they chew on. OK so Sophie the giraffe is OK, I like her, but she gets pretty dirty knocking around the bottom of the buggy or being thrown onto the floor. 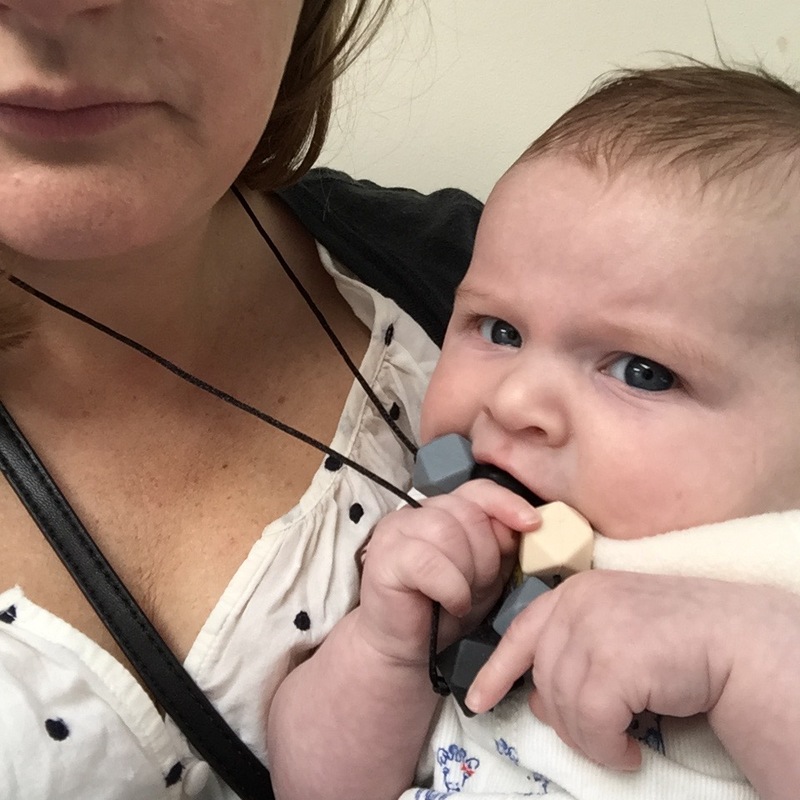 I had heard about teething jewellery before and had been curious to know what it was like. The lovely mamas who set up Lara & Ollie, a cool teething jewellery brand, kindly sent me a couple of bits to test out - a silicone necklace and bangles. I have to say at first I was quite sceptical before having seen them - I wasn't sure if they were a bit naff or the jewellery would work with my style and clothes and would Violet even be interested in chewing on them? However I can vouch that the jewellery is so much better in the flesh! It's the perfect size, great colours (you can go bright or more muted neutral) and feels so tactile and fun. 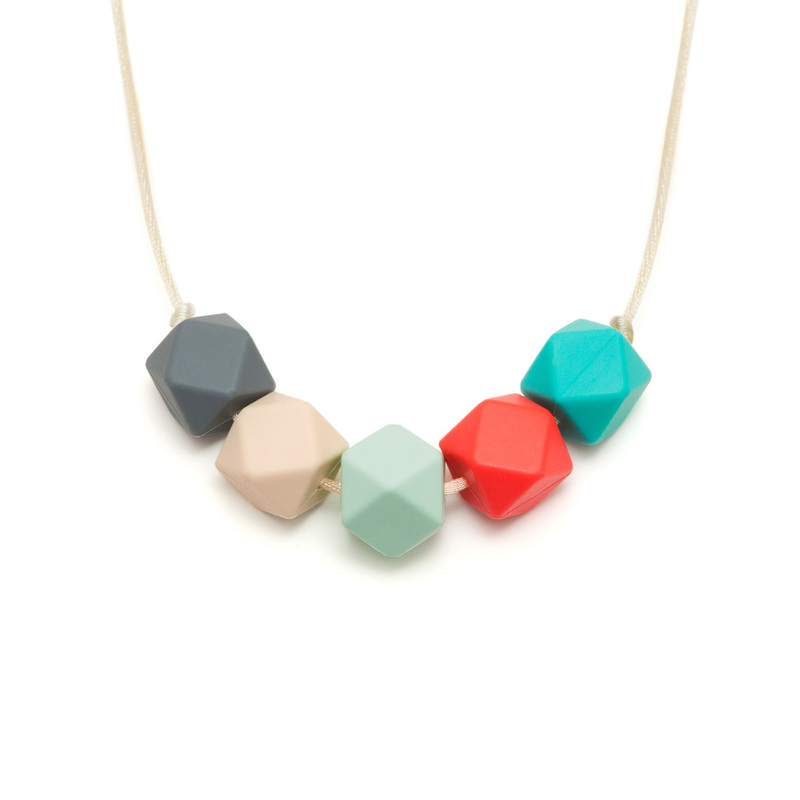 I highly recommend their jewellery, it doesn't look like teething items and still feels stylish - they've got it spot on. It seems to work really well with a mum wardrobe - stripes, dungarees, t-shirts, sweatshirts and its now become part of my daily uniform! The best thing is that it's great for when you're on the move - on a bus, waiting at a doctors appointment - no digging around your bag to find something, it's on you already. Also babies love to pull and play with jewelry so it's a great distraction for little fingers. The bangle is a real hit with Violet - a welcome distraction when changing nappies or in the buggy, it's soft and supple and she loves giving it a good chew (and often enjoys wearing it herself as a bangle!). 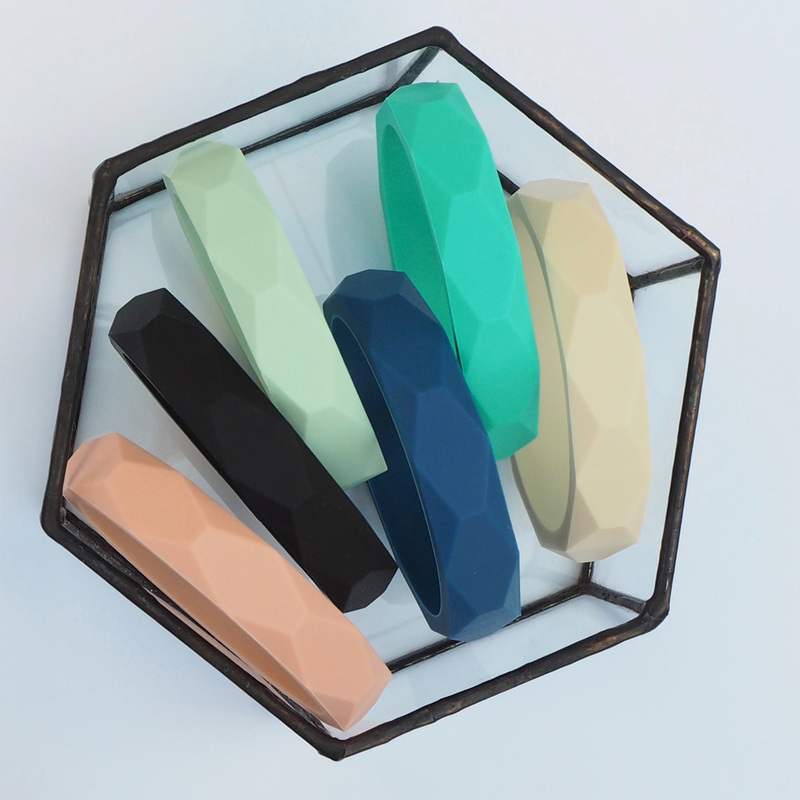 We love the colour choices and they have great names such as Grace, Bella, Bea and Lily with dark or light cord options depending on what you go for. The techincal bit....the jewellery is made of silicone and are durable and resilient, a quick wipe or rinse in soapy water and they're as good as new. It's a safe alternative to costume jewellery for teething babies to chew and fiddle with (note necklaces should only been worn by mamas not babies please!). 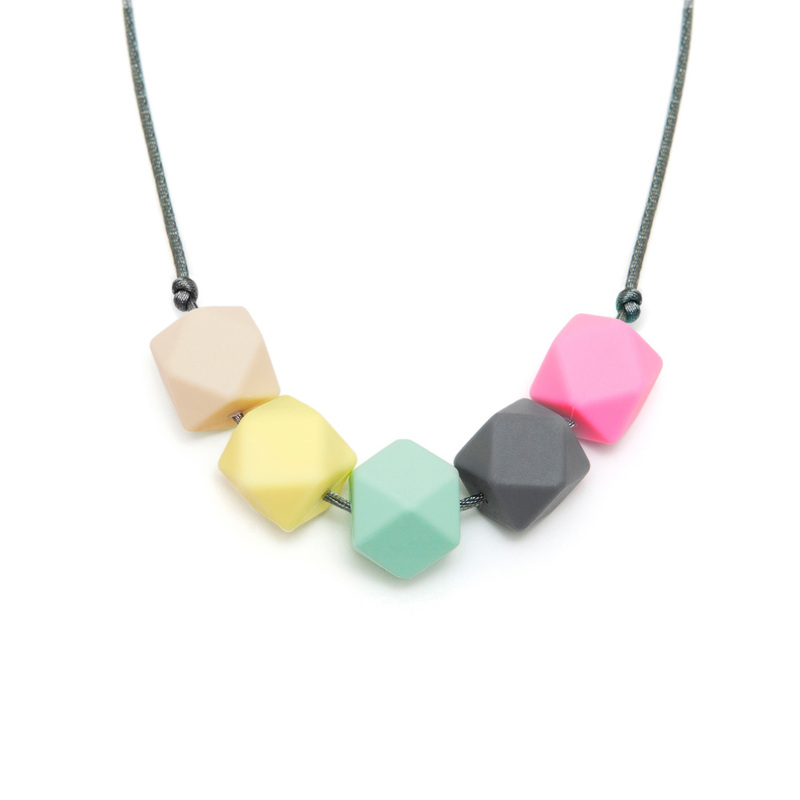 “Whilst teething jewellery isn’t a new concept, something designed specifically with mums in mind is a bit different. 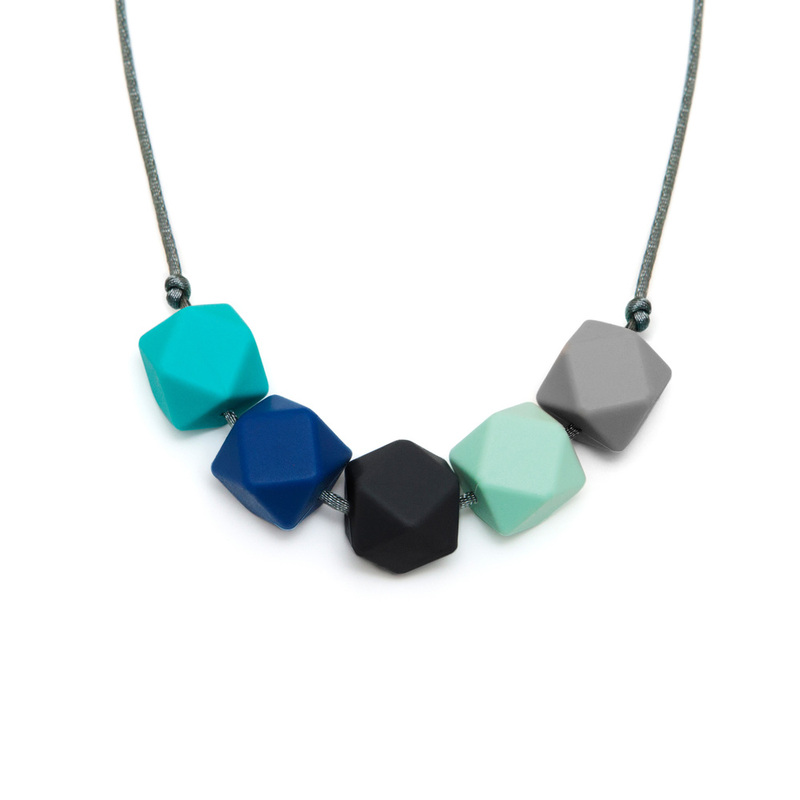 We wanted to create something that doesn’t look like teething jewellery and enables mums to accessorise any outfit and feel like they’ve made a bit of an effort. Necklaces cost £15.95 and the bangles are £8.95. The jewellery is currently available through their Etsy shop here and they have kindly agreed to give Finlay Fox readers a 20% discount! Please use the code FINLAYFOX at checkout and note it's valid until the end of the year.